We at Leger's Plumbing & Heating we know how time-sensitive your project is and work to ensure quick turnaround – from start to finish. Whether repairing a worn well water pump system or designing a totally short set turbine pump to be installed, we stand ready to meet your needs in the most timely and effective manner possible. The pros at Leger's Plumbing can fix all types of plumbing problems and maintain residential plumbing or commercial plumbing needs. Whether your problem is a leaky faucet or a broken hot water heater, Leger's Plumbing has every aspect of plumbing covered. We want to help you stay warm throughout the winter by assisting you with your furnace needs. Your continued comfort and safety is our top priority. No matter how good the product is, it wont matter if it is not installed correctly. 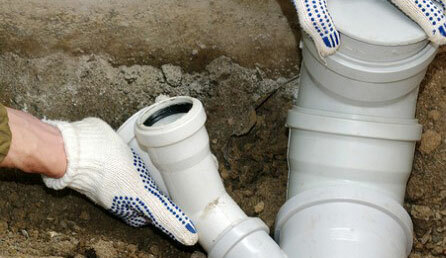 You can trust Leger`s Plumbing with 35 years experience in plumbing installation and service.